Although Apple implies on their Aperture Library features site that AVCHD and AVCHD Lite is supported, many people still got problems when they import AVCHD files from Sony, Panasonic, Canon, etc. Just happen to have some video footage in AVCHD no matter for merging MTS videos form different cameras or uploading MTS to YouTube for sharing. Since there’s something wrong with the Aperture Library when adding MTS videos, how could we get rid of the troubles away? For seeking best video converting tools to make MTS files suitable for Aperture Library? Since Aperture lacks full support for AVCHD 2.0(in 1080p 50fps/60fps and 3D). 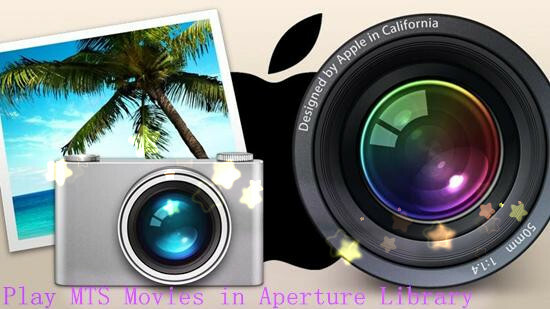 The best method to get MTS into Apple Aperture is to transcode MTS footage into Aperture most compatible format like MOV. In this case, we fortunately have the Pavtube Video Converter for Mac for you guys, which we can convert MTS files to Apple Aperture Library edit-friendly format without loosing quality. Step 1. 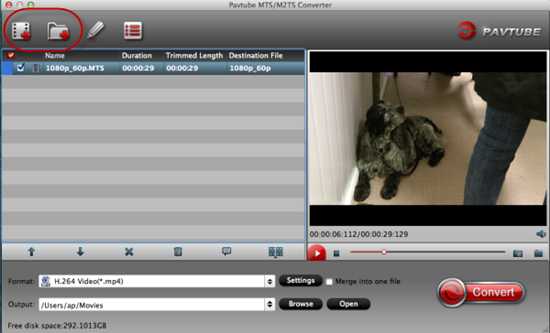 Run the MTS to Apple Aperture converter and click the Add Files button to import the MTS videos to be converted. 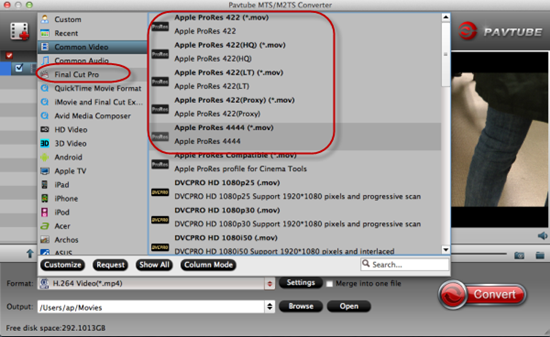 The converter supports converting multiple files at a time. Step 2. Choose an optimal target format. Click the “Format” bar and select Final Cut Pro> Apple ProRes 422(*.mov) as output format, which should work with Apple Aperture perfectly. Step 3.Additional tips: If you want, you can go to the “Settings” page to customize proper video/audio parameters including Video size, bitrates and fame rate and more. With all your preparation work done? Why not go back to the main interface to hit the ‘Convert’ button to get your conversion started? After the conversion, you can run Apple Aperture 3.3/3, go to File -> Import -> Files…, and browse to where you save the converted AVCHD clips to. Now, is there still any issues when converting/playing your Aperture Library? Great news! All Upgraded Pavtube Windows Products Can Support H.265/HEVC Encode & Decode, XAVC codec! Can't Import MP4 to Camtasia Studio, Solved!